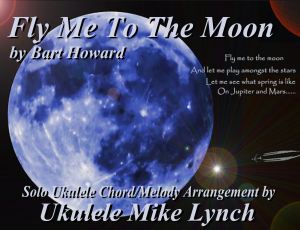 “Fly Me to the Moon”, originally titled “In Other Words”, is a popular song written in 1954 by Bart Howard. Kaye Ballard made the first recording of the song in 1954. Since then it has become a frequently recorded jazz standard often featured in popular culture. Frank Sinatra’s 1964 version was closely associated with the Apollo missions to the Moon.